Gujarat State Examination Board (GSEB) is going to conduct written examination for Teachers Eligibility Test (Tet-1) 2015. GSEB TET 1 Call Letter is going to relesed by the examination board. 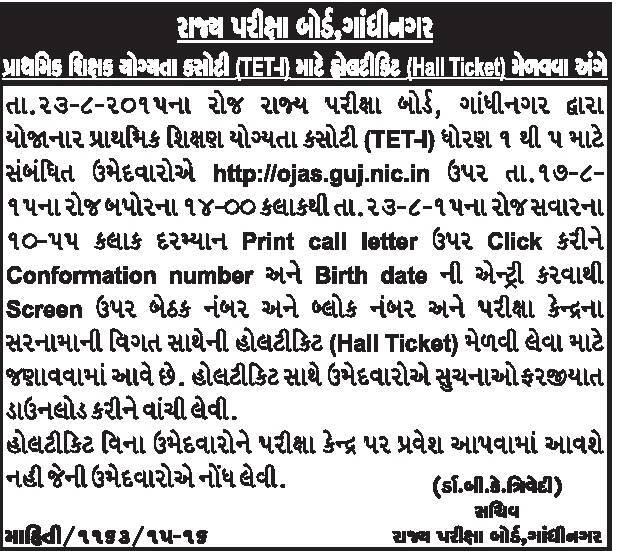 Now the latest news is that hall tet 1 hall ticket will be uploaded on 17 August 2015 at 2.00 pm. Candidates who applied for this exam can download their call letter through belwo link.